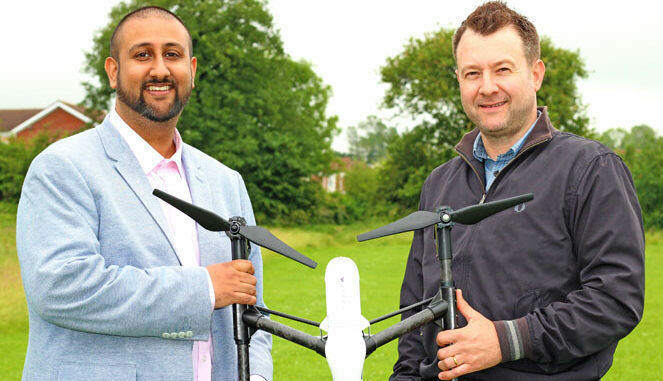 Egg Air, part of Xcyte Media, which specialises in using drones to create aerial photographs and video, was founded in 2002 by expert videographer Paul Everett, and now employs three people at its premises in Coulby Newham. The company was an early adopter of drone technology for photo and video work, being one of the first 200 in the UK licensed to use aerial drones commercially. Everett contacted Tees Valley Business Compass after finding the service online, and after making contact spoke to Business Growth Consultant Shak Asghar, who gave him advice on the support available. Egg Air was awarded £2,805 towards business consultancy, which has gone towards the development of two new websites to advertise the company’s services. The grant was made from the Tees Valley Growth Fund, which supports businesses growth to create jobs, which can include consultancy and specialist advice, and support for companies to take part in overseas trade fairs. The fund, which is part of the European Regional Development Fund (ERDF), can contribute up to 33% towards a project and the average grant is £11,000. Everett said: “When I met with Tees Valley Business Compass I found they immediately understood the needs of my business and what we are trying to achieve. Asghar said: “Many businesses have expert skills and a great value proposition, but can benefit from a little extra help getting their products and services to market. “When we met Paul we could immediately see he had the skills, equipment and drive to grow his business, and he asked us to help him promote his aerial video business. “The Tees Valley Growth fund can support up to 33% of growth projects for businesses in the boroughs of Middlesbrough, Stockton, Darlington, Redcar & Cleveland, and Hartlepool, which fall within the ERDF rules.